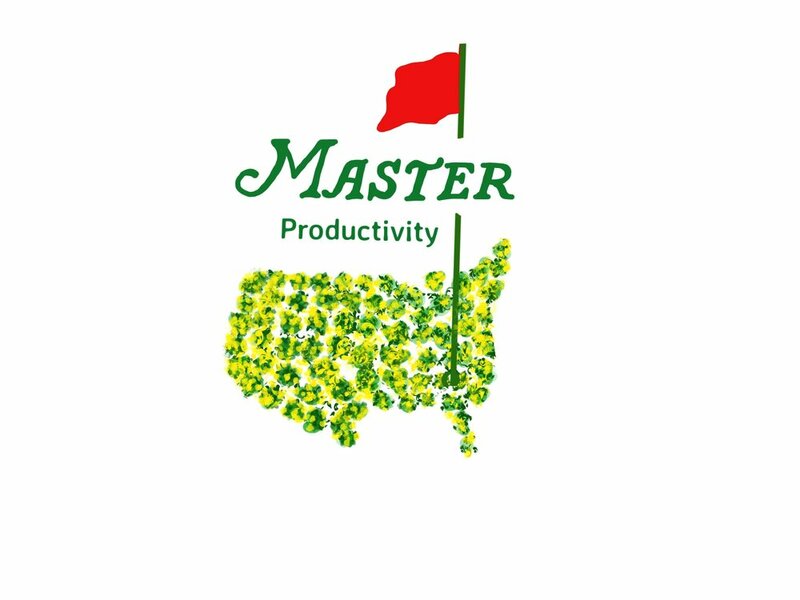 You might not be at Augusta National Golf Club this week, but you can master your team’s productivity by following these five takeaways teed-up by the historic golf championship. 1. Take a GEMBA walk. If you get the opportunity to go to the ‘gemba’ – the place where the work is done – there’s nothing quite like it. Smell the majestic pines, appreciate the colors of the azaleas, and feel how the wind and humidity may be affecting the players. Walk the path and recognize the difficulty of the steep elevation changes. Your focus, attention, and presence should be as keen as your senses during a dream-come-true stroll around Amen Corner. No cell phones allowed. Get to know the players better by observing them in the place where they are sure to demonstrate their expertise. Share your positive impressions and ask for autographs at the practice greens. ‘Watching’ on your screen will give you a weak grip on reality. 2. Aim Continuous Quality Improvement (CQI) efforts at exceeding customer expectations. Every year the Masters Tournament Directors make changes to improve the experience for patrons. This year, the extension of the fifth hole will allow repositioning of the observation stands for a better view of the fourth tee. Spectators can walk up the right side of the fourth hole now and view the action on the greens more closely than in years past. Always consider the view from the customer’s perspective. 3. Quiet Please. Give even your most timid team member a chance to express his/her opinion. At The Masters, the nominal group technique for voting occurs as crowd favorites are ranked by consensus. Each patron votes on the relative importance of golfers with his/her feet – staying physically close to favorite players. To rate individual performance on each shot, patrons vote by clapping. Two hands = one vote. The roar of the crowd’s polite cheering is a sure indication of delight. Group consensus is visible and audible. Make sure your team members can participate without pressure from others. Even though some spectators are taller or more dominant individuals, movement to another side of the room or clapping as a way of voting can put everyone on an equal footing. 4. Have confidence even when your ball is in the rough. Maintain an open stance to feedback and give changes a chance before reversing them. Rules changes announced by the PGA in January 2019 will provide the players with the option to leave the flagstick in the hole when putting on the green, and players may repair spike marks. Lost balls not found in three minutes are now abandoned; a 5-minute search was previously allowed. Although some golf professionals have had objections to the new rules and others have even made fun of the absurd looking knee-height ball drop, PGA officials are wisely recommending the rules lie in place, and The Masters officials will be standing by them for this year’s tournament. Too often, pushback from the team can undo an improvement effort, when a little more time and comfort with the change may result in better outcomes. 5. Over communicate. Every team needs a graphic display of number and word data, placed in a conspicuous location, showing frequently updated outcomes. The Leader Board on the No.18 green at Augusta National is a massive, iconic landmark which allows patrons to easily uncover patterns within the data and focus on the most critical drivers of improvement. As with andon signals in lean methodologies, colors are used to make the data easier to interpret. The Main Scoreboard lists every player, his place of residence, and his score for each hole: black numbers for par, red for birdie, bold red for eagle, green for bogey, and bold green for double bogey or higher. Helpful communication handouts include the Patron Guide and Pairings Sheets showing tee times and a map. A Program Sheet is prepared daily during the tournament. Standards carried on the tee indicate which group of players are up, with names and caddie numbers. Signposts and landmarks such as the stately live oak tree help patrons locate meeting places. During improvement events, it is essential to update information daily and share progress with both internal and external stakeholders. Your team will know they have been respected in a fair way and ace challenges when they are well informed. Best wishes to all those players who earned a place in the tournament this year. We will find a sweet spot to watch the action, and follow-through with a show of support to celebrate your successes. Cheers!